There is a very important step that some folks forget before installing paint protection film, or Ceramic Pro permanent paint coating. That step is paint correction. Let’s take Lamborghini for example. 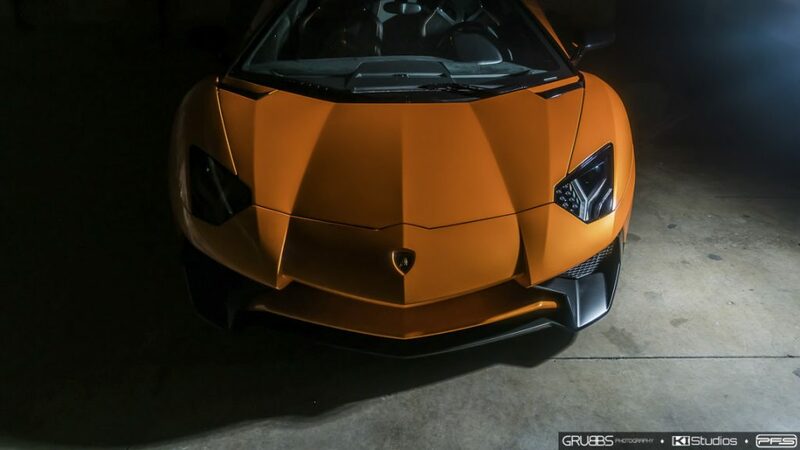 Lamborghinis are notorious for arriving from the factory with lots of orange peel in the paint. Don’t know why that is, but it’s fairly common, specially on the entry-level to mid-level cars. This is not so much the case in the upper ends of the price spectrum, but it does still happen. Not only that, but in handling the car from the factory, to the ports, to the dealership to you, as with any car, the paint does end up with a few swirls or light scratches. The fact that it’s a Lamborghini does not rid you from this. You could simply install paint protection film over the paint and call it a day. That’s what most folks do anyway. If the scratches and swirls are super light, you won’t be able to see them through the film anyway. Same goes for orange peel. That said, if you only plan on having front end paint protection film installed, you need to look more into the condition of the paint elsewhere. If you plan on having a permanent coating like Ceramic Pro, it’s also good to look into paint correction. Ceramic Pro will fill in most of the light swirls and light scratches. It will diminish orange peel a bit, but if it’s very noticeable in the first place you could potentially still see it through the coating. For this reason, experienced super car owners will request paint correction before doing anything else. Many of these folks are guys that have owned super cars before and know how the paint comes from factory. For their second, third or maybe fourth car, they want perfection. 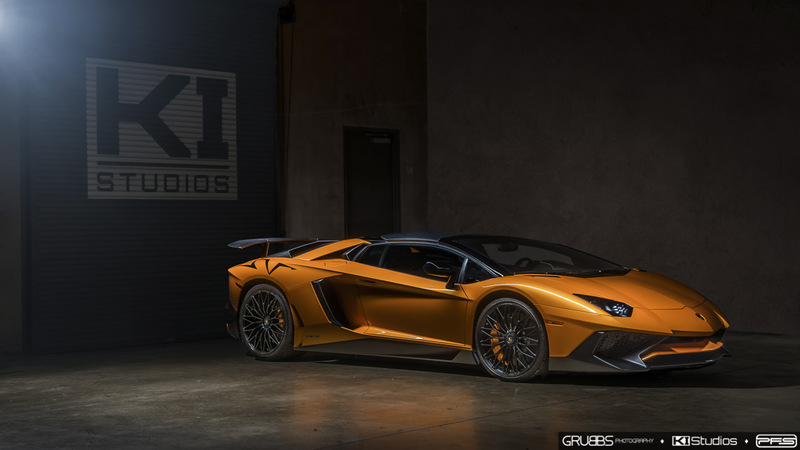 The owner of this Lamborghini Aventador SV Roadster sold by O’Gara Coach La Jolla is a perfect example. He is not new to Lamborghinis. He did not want any imperfections in the paint in this new acquisition. 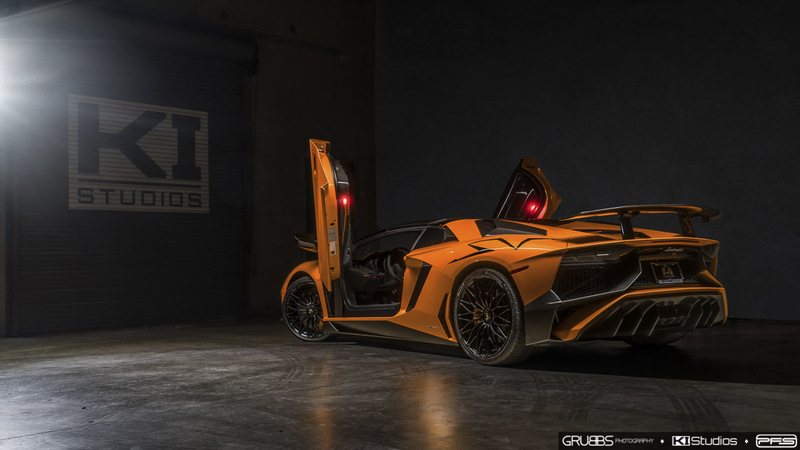 This very rare Arancio Atlas Lamborghini Aventador SV Roadster is 1 of 500. It is extremely special. The car would be getting full paint correction, then front end Xpel clear bra and finally Ceramic Pro 9H over the entire thing. The car went to Protective Film Solutions San Diego where we had two of our top paint correctors and Ceramic Pro installers take action. Many, many hours were put into removing any imperfections in the paint. Once the paint looked like a priceless gem, and the front end protected with Xpel, the process began for the application of Ceramic Pro. Ceramic Pro is a permanent coating unlike anything on the market today. It dries to a harder-than-glass permanent coat. It’s also perfectly transparent and incredibly slick. Slicker than wax. See, Ceramic Pro 9H is based on nano-technology with particles that are much smaller than the particles of paint. This makes it so that every pore in the paint is filled to create a solid surface that’s resistant to scratching and contaminants. Our Ceramic Pro 9H Gold Package features 4 coats of Ceramic Pro. Each coat is allowed to dry before the next application. This makes it so that you can layer the coating to increase depth and thickness. A 5th and final light top coat is done at the very end which improves the “wet look” even further. Given the paint on this Lamborghini Aventador SV Roadster is already amazing, the results are incredible. 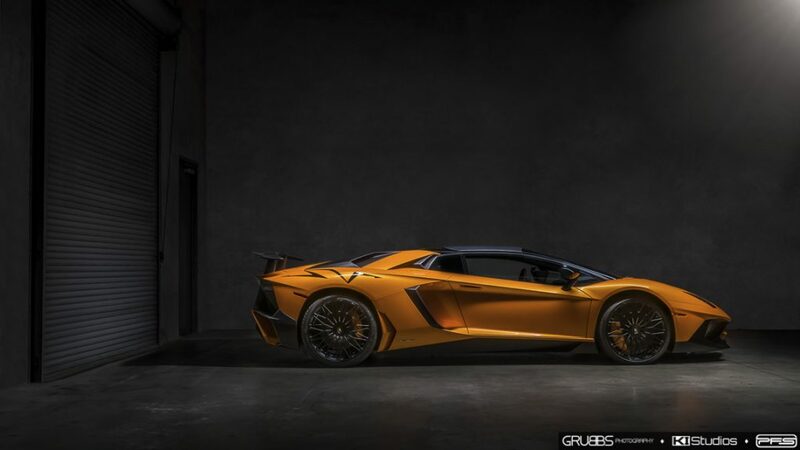 See, this particular Lambo is unlike its less expensive counterparts. The paint is done in many stages and even before anything is done to it, you can see the depth is there. The final paint correction and Ceramic Pro coating bring out these qualities further. Just as importantly, the coating adds the protection needed so that it remains this way. Robert Grubbs of O’Gara Coach La Jolla came over one night to shoot the car once it was completed. His specialty is light painting. You can see why in these outstanding images. You might want to learn more about our choice of permanent paint coating. For that visit this page: Ceramic Pro Nano-Technology Permanent Paint Coating.